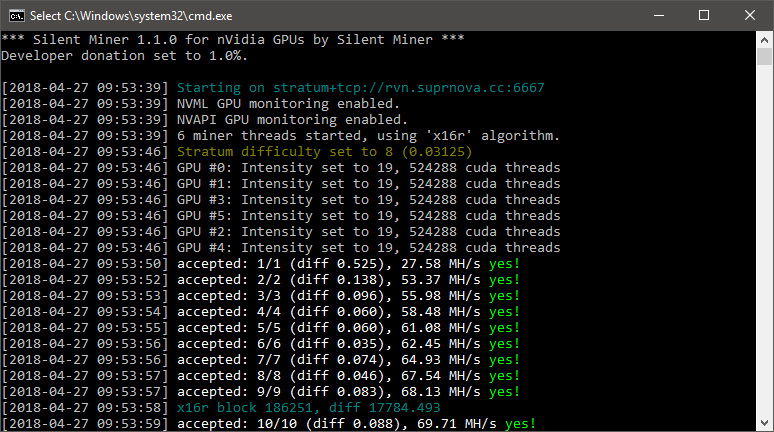 Silent Miner is a new fork of ccminer for mining Ravencoin’s (RVN) X16r algorithm that tries to compete with the fastest z-enemy miner in terms of performance. Previous versions of the Silent Miner were a bit slower compared to the latest z-enemy 1.08, but the latest updates might indeed bring the performance to a very similar level. 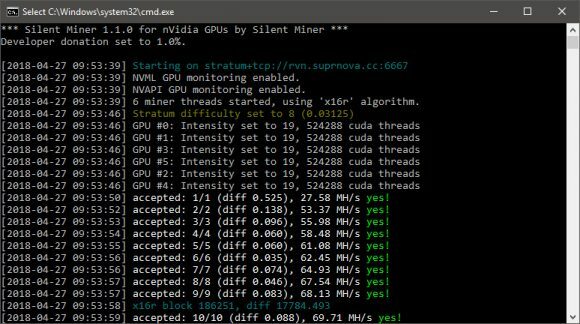 Silent Miner is a closed source miner available only for Windows for the moment and it comes with 1% developer fee built-in, so if you are not Ok with any of these there are plenty of open-source alternatives for X16r available out there that you can use.